History hijacked, present overshadowed, future uncertain. Those are, in a nutshell, the three fundamental reasons that Ukraine needs Kiva. And here are 7 striking examples. 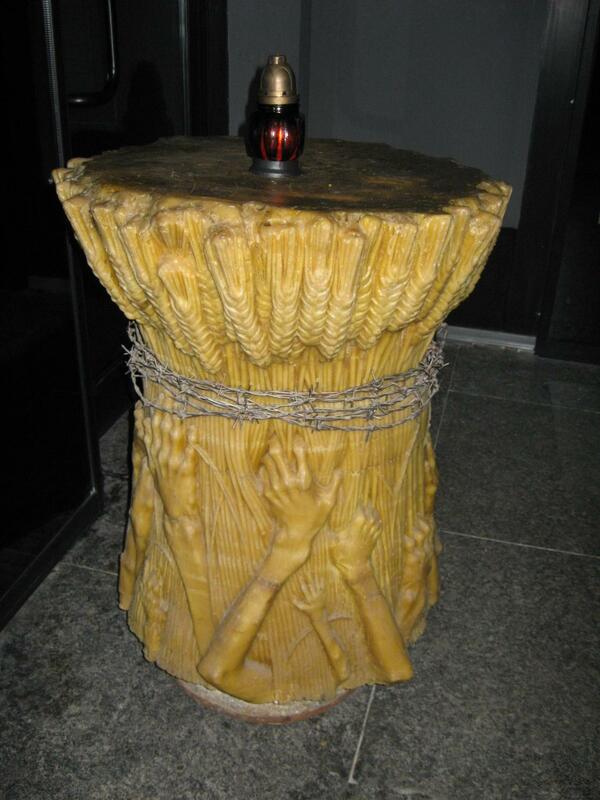 This is a monument inside the recently erected Holodomor Museum. It represents the hands of starving people, grasping at the forbidden stalks of wheat. Holodomor roughly translates as hunger famine. I won’t go into detail here. Suffice it to say that this was an artificially induced famine, orchestrated by Stalin’s regime in the 1930s, to punish the Ukrainian people for attempting to fight for their independence. Every last ounce of wheat they produced was confiscated for export as part of Stalin’s Five Year Plan. Those who “stole” even a few grains from an already harvested field were arrested and tried under a convenient new law. Most estimates put the number of deaths around 6-7 million. Perhaps it’s ironic that this hunger famine took place in the country nicknamed the Breadbasket of Eastern Europe for its abundant agricultural wealth. Most of the bread in the United States and Canada comes from grain that can trace its roots to Ukrainian immigrants, who brought their best seeds to their new home. Some even credit Ukrainian wheat with helping the Allies to win World War I. But when the Holodomor, which many consider a genocide, decimated the population, it had lasting effects. 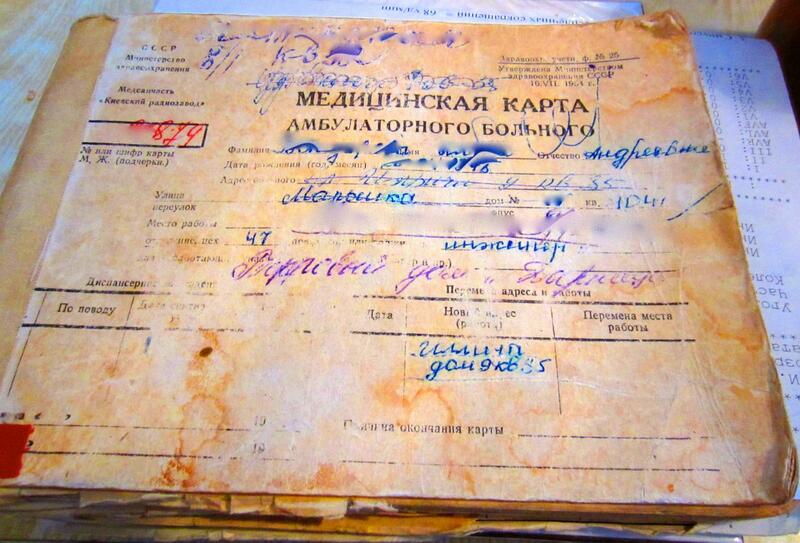 Ukrainians from the cities were forcibly relocated to replace the farmers who had died. The harvest cycle was derailed almost as badly as the population growth. The national identity, along with the country's relationship to the land and to bread, forever changed. One of the worst things you can do in Ukraine is to throw away bread. It just isn't done. If the bread is moldy, you feed it to the birds. Bread, in Ukraine's national memory, is precious. Do you remember how long and intense the news coverage was during the Fukushima nuclear reactor crisis after the tsunami hit Japan? That disaster, and the panic you saw, pales in comparison to Ukraine’s catastrophe. The 1986 meltdown of the Chernobyl reactor in Ukraine, just upriver from Kiev, was so severe that there is still an Exclusion Zone around it that stretches over 1,000 square miles throughout northern Ukraine and Belarus. 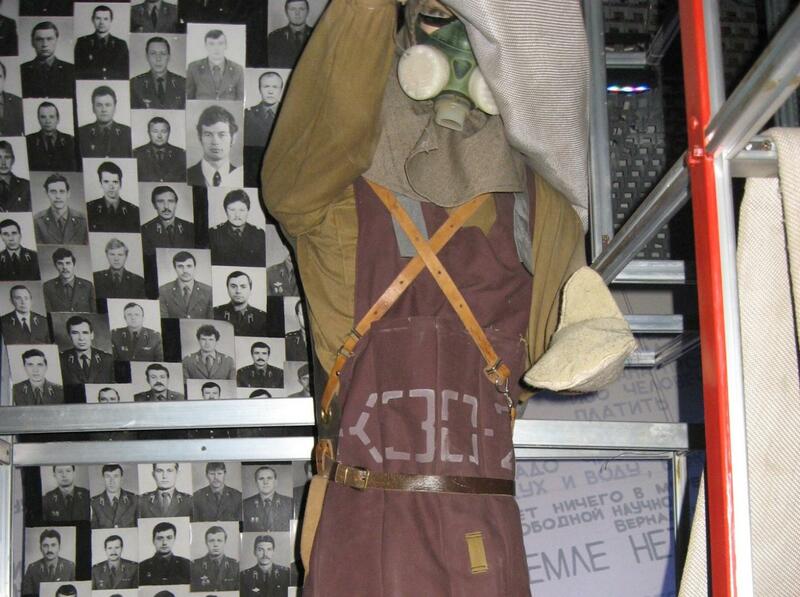 One of the suits worn by those who tried to help in the crisis, along with some of the photos of those who died. When the authorities first learned of the crisis, they forced firemen to try to put out the over-two-thousand-degree graphite fires without even telling them that it was a nuclear reactor, let alone that the radiation would later kill them. The authorities also hid the truth from the world. No one knew what was happening until nearby countries started detecting spikes in radiation coming from Ukraine. The people in the town near the reactor were not informed until long after huge numbers of them were convulsing from the radiation. My wife, who is from Kiev, was a toddler at the time. Her parents told me that they had no idea what was happening. All the Kiev city busses mysteriously left. They didn’t find out until later that the busses had finally been sent, more than a day after the explosion, to evacuate the people living in the town near the reactor. When the secret got out in Kiev, my wife’s parents immediately evacuated her to Russia for the summer. 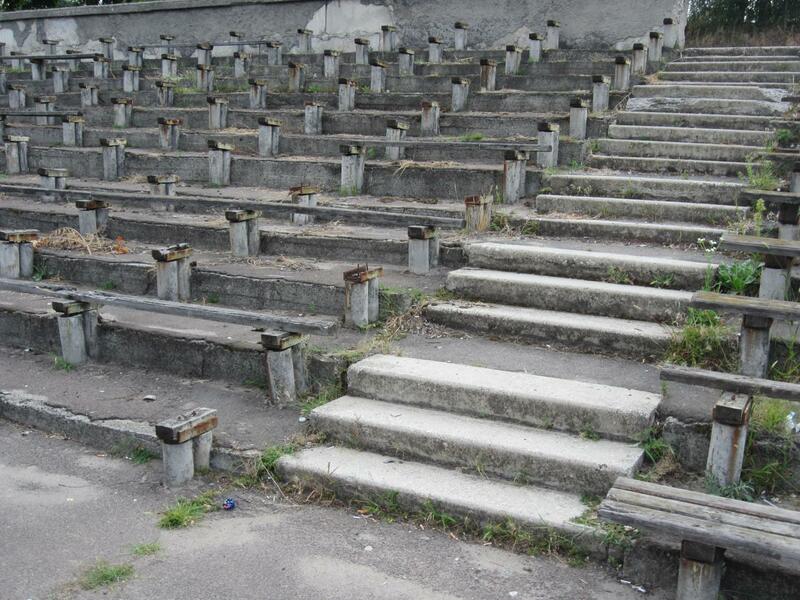 The effects of the Chernobyl disaster are still being accounted for, including deaths, cancers and deformities. The geographic and economic losses, including long-term financial strains, are still a major burden to the entire country. It may come as no surprise, then, that Ukraine, which held the 3rd largest nuclear arsenal in the world, is one of few countries in history to voluntarily and completely disarm its nuclear weapons. This watershed moment was commemorated by planting sunflower seeds in place of the nuclear weapons. 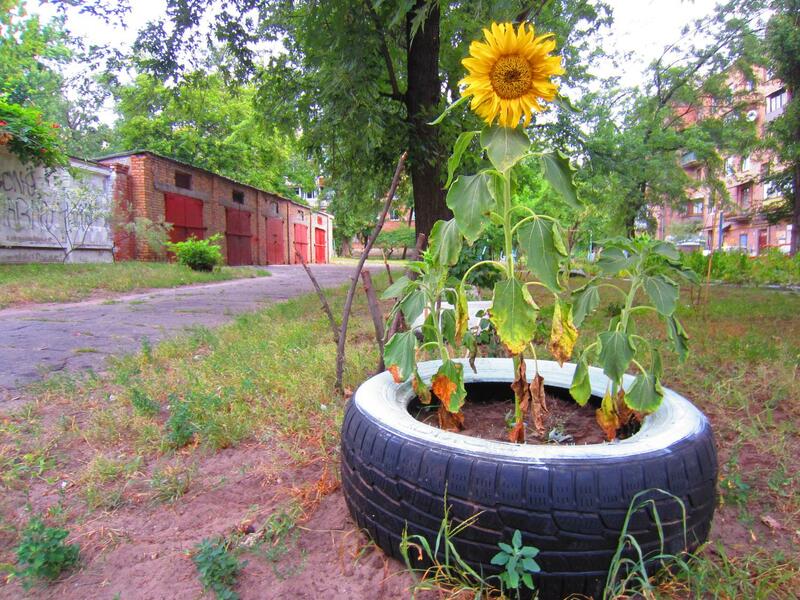 An official at the time said that “sunflowers, instead of missiles in the soil would ensure peace for future generations.” Ukraine’s ubiquitous sunflower is still used as a symbol of nuclear disarmament by its advocates. As with most transitional democracies, Ukraine’s political situation has been nothing short of tumultuous. Moving from a subordinate communist republic to an independent democracy was made even more challenging without significant financial or political resources. Even Russia, the wealthiest of the Soviet states and heir to the international power base of the Soviet Union, struggled deeply until discovering large oil reserves. The 2004 Orange Revolution, where the president-to-be was poisoned, nearly dying, and where millions of Ukrainians gathered in peaceful protests, is but one of many examples. Ukrainians want stability. They want growth and freedom and opportunity, just like everyone else. 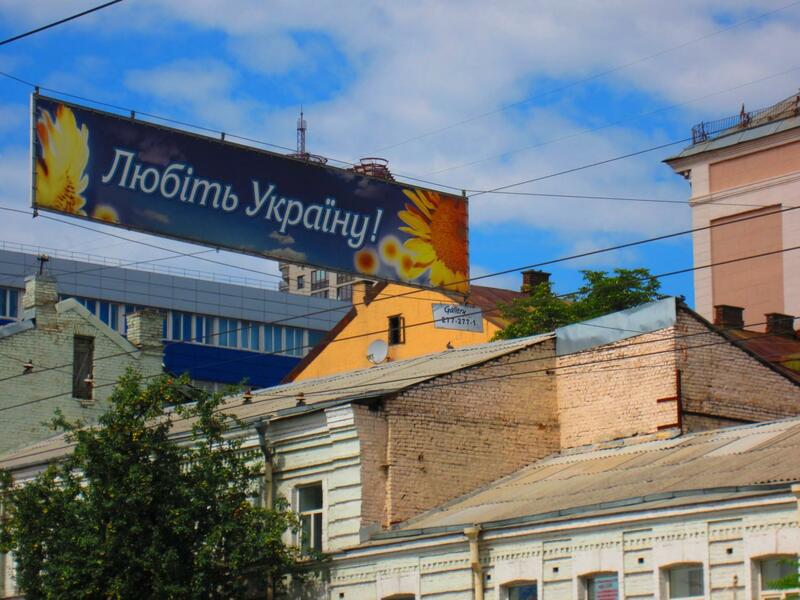 "Love Ukraine!" 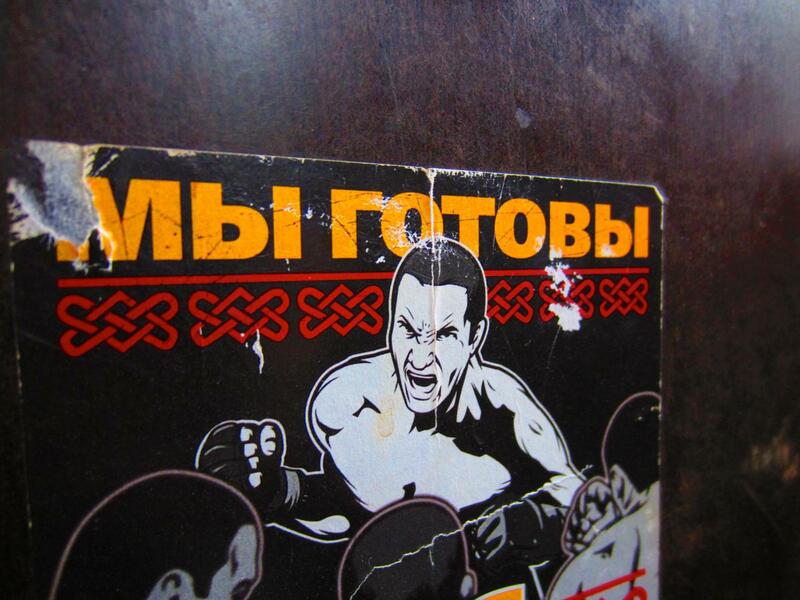 Seen in downtown Kiev. Financial stability is often a prerequisite for democratic growth, especially in a country like Ukraine, which is still growing into the mantle of democracy. Kiva provides an unprecedented path for economic hope in a country that desperately needs it. Due to a number of political misfortunes, Ukraine pays nearly double for most of its gas, which it imports from Russia, than do Germany and other European nations. This has severely strained the already struggling economy, and has forced Ukraine to turn to China and others for massive loans. Ukraine is a naturally beautiful country. 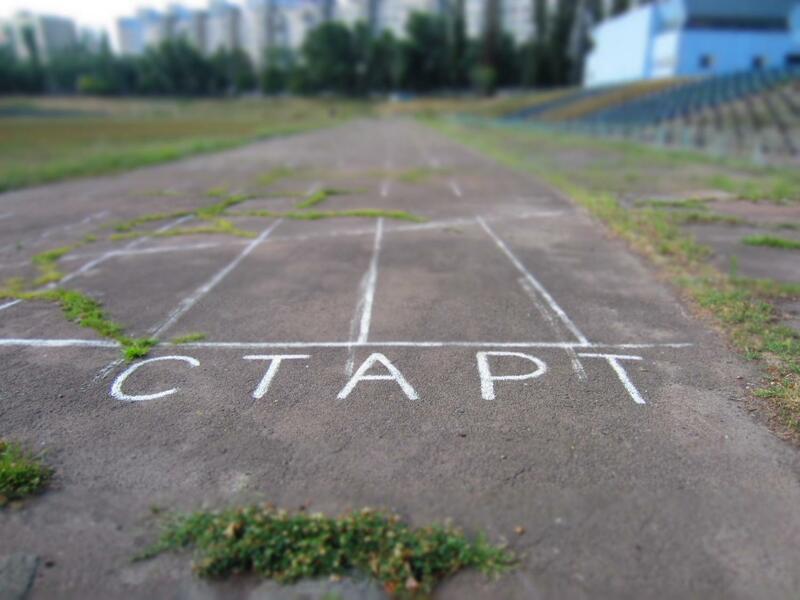 But the people here have a heavy and very unique burden to bear: the end of the Soviet Union brought near collapse to the economy and much of the infrastructure is simply frozen in time. The 2008 crisis also threw them back further than most. Some areas look like a post apocalyptic film set like I Am Legend. Try to imagine that your city, wherever y0u live, had been in its prime about 25 years ago, then everything simply stopped. People left when possible, fewer babies born, the elderly dying sooner than before, the population shrinking. 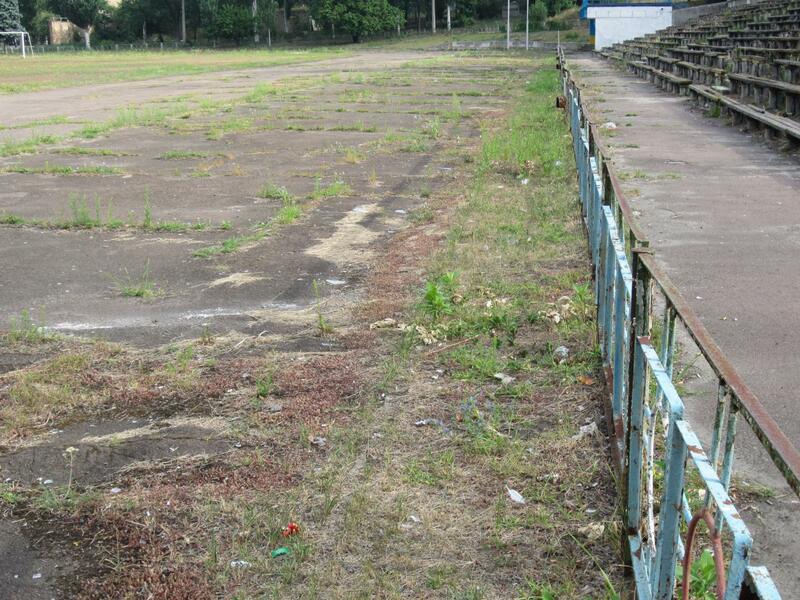 No money for some of the most basic repairs, few jobs, and high crime rates. As you can imagine, the infrastructure and system that marked Kiev as a powerful city within a superpower are not enough to keep the country globally competitive. As I mentioned in other posts, many people live now as they did a hundred years ago, or more. Homes here have running water, but you can't drink it. The electrical grid exists, but it’s unreliable. There’s hot water, but it’s turned off for weeks at a time without warning. In some towns, the internet was only made available 3 years ago. Life expectancy, though increasing, is lower than it was in 1990. My mother-in-law, who grew up in a small town in Ukraine, nearly starved to death, along with her family, when she was a child. They were so poor that they couldn’t even afford to buy underwear. They shared a 9ft-by-9ft “Soil House” (a pit with a roof on it) with the family cow. Life has, thankfully, improved in the years since. But many people still live with that daily dread that comes with destitution. One of the working professionals I spoke with here told me that he made $7.50 per month during the 1990s. This has since increased, but prices have as well. "OFFICE JOB. Respectable pay. Convenient schedule. Career growth. Official career agency." This is my mother-in-law's medical journal. Each person takes their journal with them to each doctor visit throughout their life. Unfortunately the medical system here, though highly esteemed during Soviet times, has suffered dramatically. The (gross national) income per capita in Ukraine has decreased overall since 1990, though it’s slowly recovering. Ukraine has, by far, the lowest income per capita in the entire region, except for Moldova. Jeffrey Sachs, discussing this metric in his famous book The End of Poverty, lumped Ukraine in with most of Sub-Saharan Africa. It’s better than it was 15 years ago, but you can still see the fear in people’s behavior. My parents-in-law have to open no less than 6 locks and two separate doors to enter their Kiev apartment. 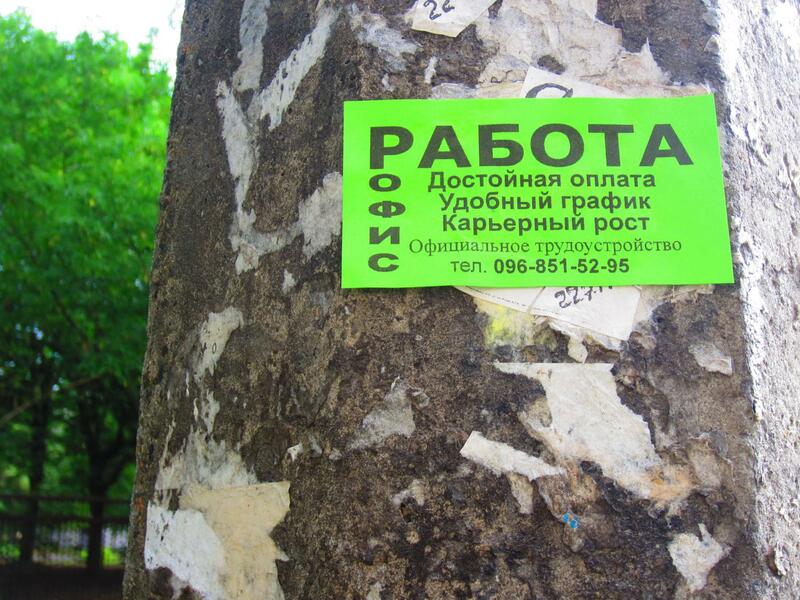 This is the new rule in Kiev, not the exception. Even having lived in South Africa and Russia, I thought this was excessive, until the neighbors below us were recently robbed. The door to the apartment. 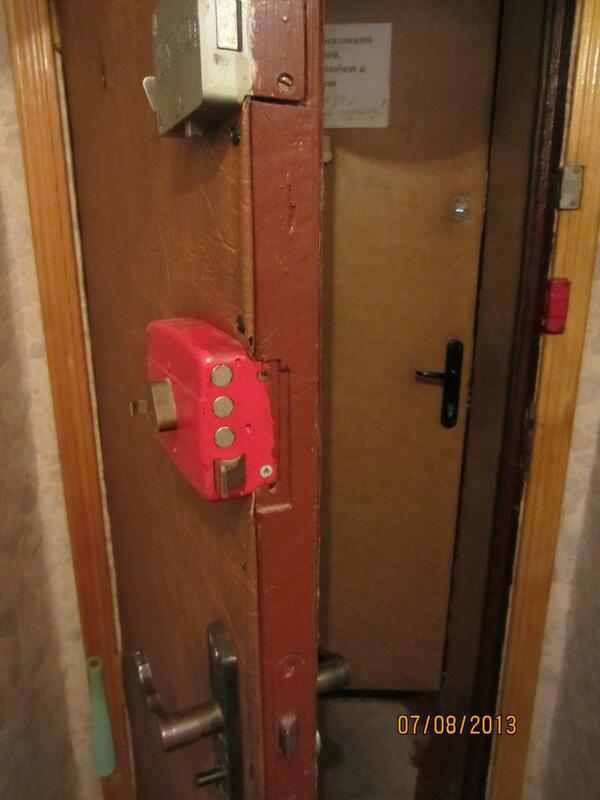 The inner door has 4 Soviet-era locks. The outer door has two modern ones. All take different types of keys. This is life in Ukraine. As I mentioned in my previous blog post, it’s hard to appreciate the beauty of life when there’s no stability. Ukraine suffers from massive, wide-scale corruption and the people are tired of it. It seems like there are daily demonstrations against it. Some people escape a modicum of the corruption by living as far away from cities (and authorities) as possible, whether by design or by birth. Luckily, Kiva’s field partners are increasingly focusing on these deeply rural populations, whose seclusion has also brought exclusion from financial opportunities. Join me in looking at this amazing country with new eyes. Help Kiva grant this fledgling democracy the opportunity it longs for. Jason Stout grew up in Utah and the Netherlands and has spent nearly a quarter of his life living abroad. He is currently getting his Master’s of International Affairs, studying international finance and economic policy at Columbia University and works as an Analyst at Emerging Market Economics. In his spare time Jason helps manage a website and podcast he co-founded, which is dedicated to advocating service and poverty elimination (NoPoorAmongThem.org). Jason’s enduring passion is economic development and human rights. He served as a Peace Corps volunteer in South Africa, volunteered in Russia with a UN-affiliated refugee NGO and volunteered in Ukraine for two years with the LDS Church. Here he managed public health projects for over 25,000 youth and provided free English education. Jason has worked extensively with refugees and victims of human trafficking in the US with Catholic Charities and Child Rescue of North America. 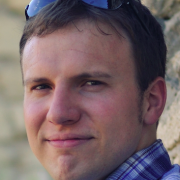 He is excited to return to Ukraine as a Kiva Fellow. Jason is a proud husband and father of a one-year-old. They currently live in New York City, where they enjoy Ethiopian food and old Russian movies.